… because you can beat someone over the head with them until they foam at the mouth. Or you can cook with them. I think all four can be sold for scrap, but don’t quote me on that. I apologize to all those who expected something deep to follow that post title, but you should really know better by now. ScrollBoss: 7th Anniversary – Damn, I’ve been working on this piece of crap for seven years? The hell? Luckily, this one didn’t sneak up on me as late as it usually does so I may be able to cook up something special for it. At the very least I’ll probably debut a lot of sprite edits that I’ve been holding out on. I’d like to do something MUGEN related to make a full-body barrage with MugenBoss, but I don’t know if I have time to do what I want to do. I’ll talk about stuff that I want to do in a future post here.ETA: July 19th, the 7th anniversary date. Nutroll: the Illness – No, it’s not dead. As I was rewriting what would’ve happened on page 2 and after, I kept getting more insane ideas including many more to map out my comic book universe. The locations where the news reports will come from are fictional and one will end up being the so-called Metropolis (the main city) of the whole universe. In fact, the first location will become a recurring place including a place where M-Wave shops. Plus, various other things put a cramp in my draw-drive and I don’t want to draw and half-assed page for Nutroll. ETA: After July 19th, the 7th anniversary date. Graphic Generators – No idea on these either. 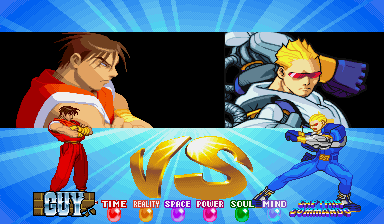 Other PHP things that I’ve done with ScrollBoss and Illmosis caused me to learn new things that I’ll use on the beta generators (Beat-em-up screenshot and Vs. Screen). One big snag with the Vs. Screen generator was that every character needs a good portrait that fits the style. Thanks to that, the Vs. one may be on hold. I have a ton of ideas for other generators, so it’s no big whoop. Since these future ones will use things that both the Vs. and Beat-em-up fakers will use and need, I’ll just wait until I’ve turned every good function in the first ones into separate modules that each faker can borrow from. That way, I’ll just have to update each function once. I may spin this off into a separate site since some of these generators won’t be sprite based. For now, they might fully debut on the ScrollBoss site. BTW: the little custom logos I made including Guy’s over there are FUN to make. I can’t wait until it’s time to do those for my own characters. Lego Section – I promised this for Illmosis long ago, but I still don’t think that I have enough to start an actual section like I did for G.I.JOE. I only have a few custom minifigs, 2 mini-vehicles (like Aquaman’s ride over there) and a boring building front, so I’m cool with just posting my work on my blog for now. 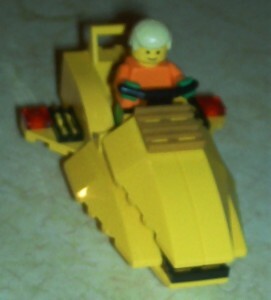 My stuff isn’t good enough to show on any user-based Lego sites, so don’t expect that any time soon, either. ETA: I have no idea.